I've always been plagued by crappy boat trailers with lights that never work and very questionable safety margins. 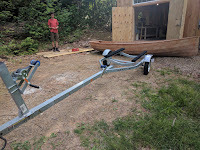 Currently I have 3 trailers in the yard, one of which I bought new in the 1990's and for my O'Day Daysailer and the lights have not been fully functional on it for many years. It seems that the wiring harness on these trailers are just awful and break very easily. Another one of the trailers for my Force 5 actually has working lights, but the trailer itself is kind of a disaster. I had it welded last year to hold it together, but I really don't think it's very safe. The third is just a hot mess and it just needs to be cut up and thrown away. It's that bad. 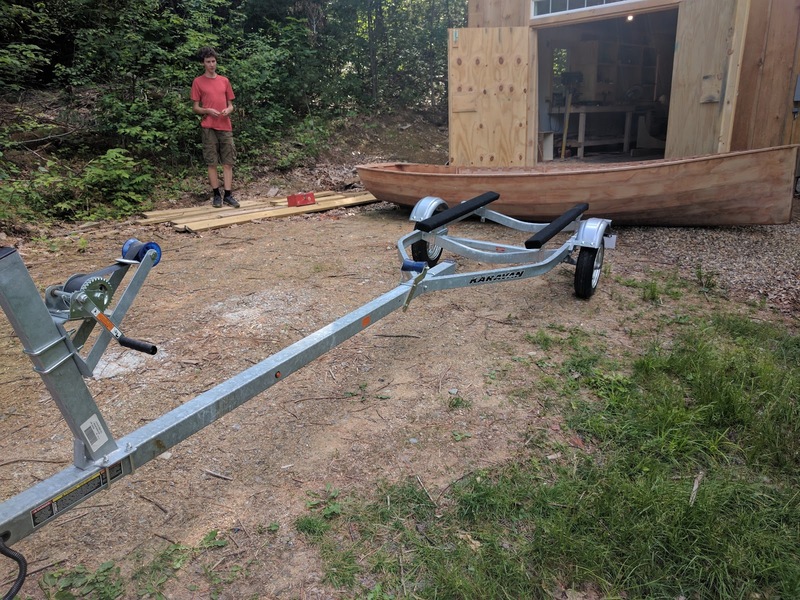 So the new boat is going to need a trailer and I've been looking on Craigslist for several months now and haven't found anything suitable. Either they are too long or too crappy or are too stiff for such a light boat that I expect the Apple to be. So this weekend I finally decided that I am sick of looking for another disaster so I went out and bought a new one. It's a galvanized Karavan KBE 1250 and it has sealed/submersible LED lights that actually work and are bright. Woohoo. I'm sure I will break the harness somehow in short order, but at least it will not shake the boat apart. It has the new style torsion suspension that I'm told has a less bouncy ride. 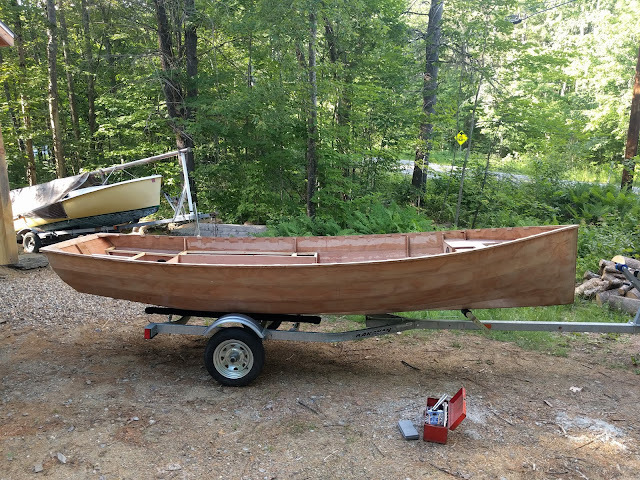 I have to spend some time setting the boat up on it though because the rocker of the hull does not allow it to sit flat on the bunks and there is currently only one roller up front. I think I will add another roller aft to support the hull weight, but I'm not really sure the best way to handle it (suggestions are appreciated).